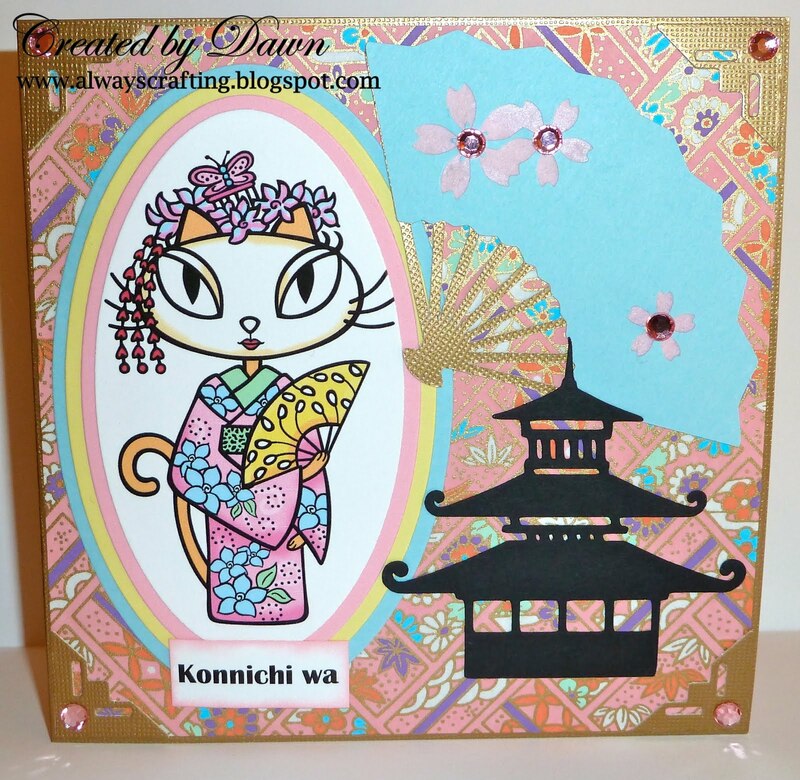 Welcome to the Paper Playtime Stamping Monday! Our theme this challenge is "Vacation"! Where did you go on vacation this summer? 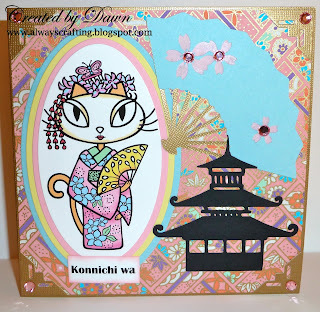 On this card I used a "Pink Cat Studio" image called Cat Geisha. You can find this image here. The house and fan were made using the Pagoda Cartridge from Cricut. The paper is origami paper I got while in the Japan store at Disney. I used Bugaboo images for the above card and bookmark. You can find these stamps here. The little sunglasses are a button. Too cute right? Head over to www.paperplaytime.blogspot.com and join in on the challenge today!